Just to let you know, I am not reviewing an Apple Computer for this. I don’t think I could get the big Apple to send me one, but I was able to get this company known as Understands to send me the EVO 1. It is that wooden thing that you see there. I have to admit, for an accessory that is made for Apple products, it certainly doesn’t have the usual sterile look of Apple accessories. 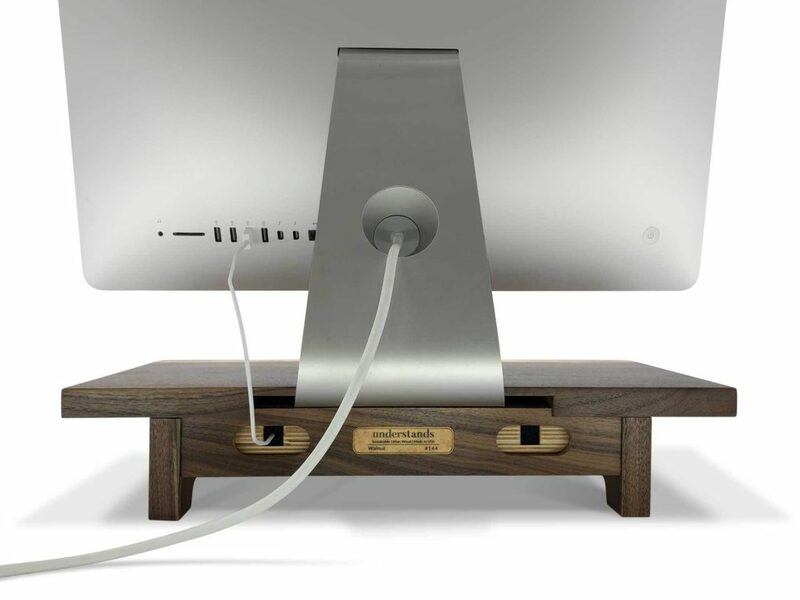 One would think that a stand would have less wood and more white plastic, but Understands really…understands. The wooden look of the EVO 1 really works well for Apple, and I am not certain why. Perhaps it is some kind of contrast thing going on. 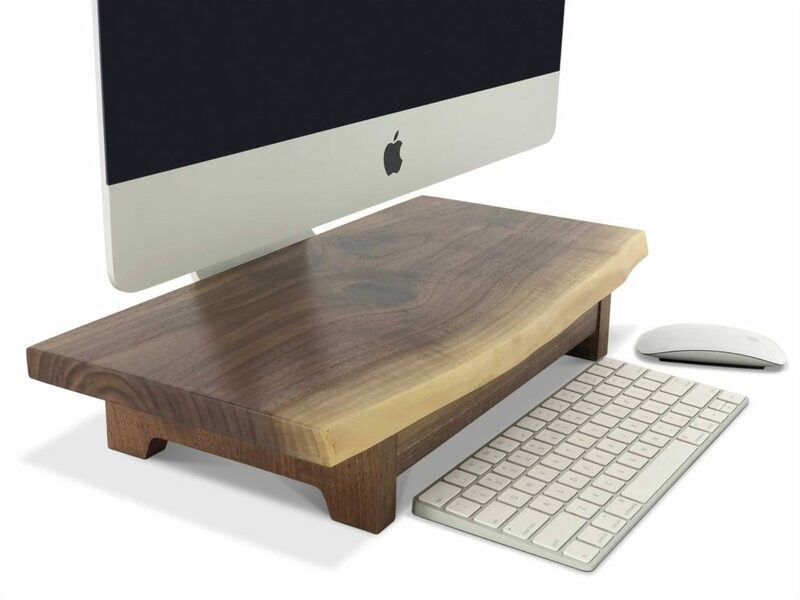 The only thing that could make it not match is your desk, but it will camouflage on any walnut wood desk. So, besides being a great stand for some elevation, there are some great features. It has a drawer, and this drawer has some holes in back, just in case you want to run some wires through it. As someone who has reviewed it, I was concerned about one thing: splinters. I found that the edges were smooth, and it is pretty good craftsmanship. If you want it, you can get it on the Understands website for about $139.